Fall is one of my favorite seasons for many reasons including the changing colors, the festive flavors and the pumpkin patches. I admittedly am one of those people who looks forward to Starbucks release of the pumpkin latte. I practically jump for joy when I see the plethora of pumpkin flavored offerings at Trader Joe’s. You could call me a pumpkin-holic. Would you know that pumpkins boast many health benefits as according to WebMd they’re loaded with vitamin A (beta carotene), low in calories as well as fiber. Apparently, “Known for its immune-boosting powers, beta-carotene is essential for eye health and has also been linked to preventing coronary heart disease.” (Superfood-Pumpkin, Caitlin Covington) Pumpkin is loaded with vitamin k as well which is said to be able to reduce the risks of some types of cancer. 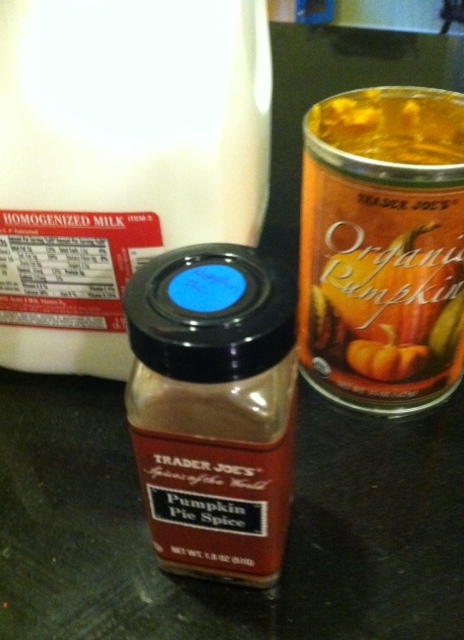 So, this mama is happy to add the pumpkin milk warmed for my boys in the morning. They start off the day downing full fat milk enhanced with the benefits of pumpkin. Want to try it? gather your ingredients. Set all ingredients in a saucepan on the stovetop. 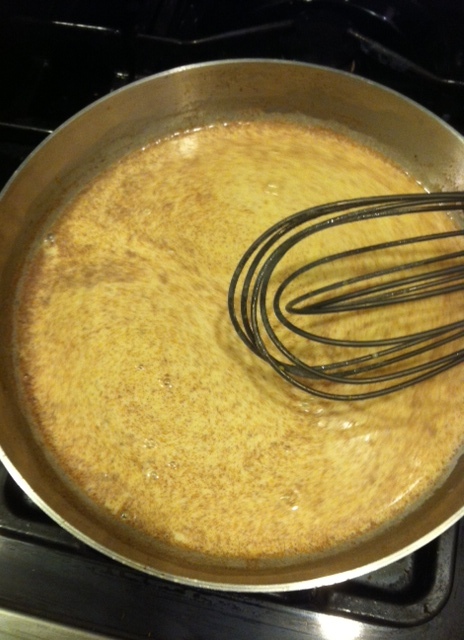 Turn heat to low and whisk until at desired temperature. 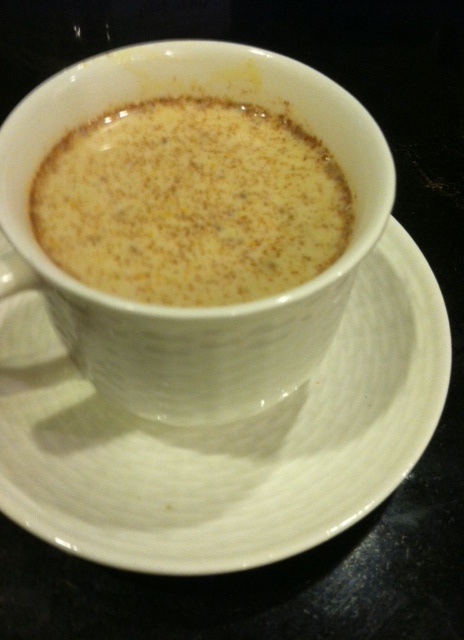 Enjoy plain or add to coffee. This entry was posted in fall, kid friendly Sonoma, pumpkin patch, rainy day fun, recipe, Uncategorized and tagged Coffee, Flavor, Halloween, Latte, Milk, Pumpkin, Pumpkin pie, Starbuck, Trader Joe's on October 14, 2013 by Modern Mama.